During our visit to Cebu last weekend - I made sure that I visited the restaurants that I wanted to try. In the next couple of days - I will write about Olio and Abaca. Olio and Abaca are wonderful restaurants - but when in Cebu - you would have to make sure that you eat what the Cebuanos are known for - their roasted pork. 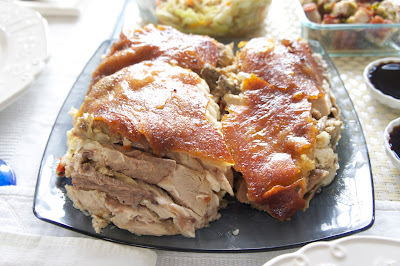 It has been said - that Cebu's roasted pig is the best pig in the world. 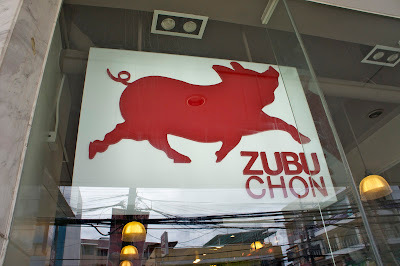 For my Lechon Cebu experience - I went to Zubuchon. 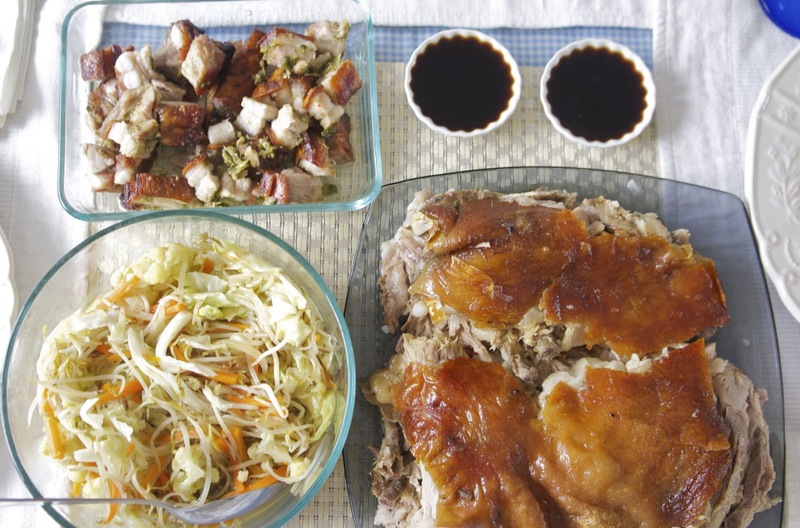 This is a relatively new comer in the Cebu Lechon business. If you talk to the locals - they will most probably refer to you to CNT. When we went to Zubuchon - we realized that the people who go there were mostly from Manila. That's not surprising because it's the lechon stall that you will see in the airport. 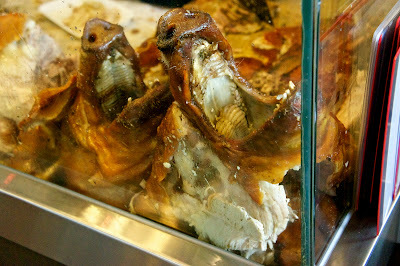 So most Manilenos are familiar with the brand. 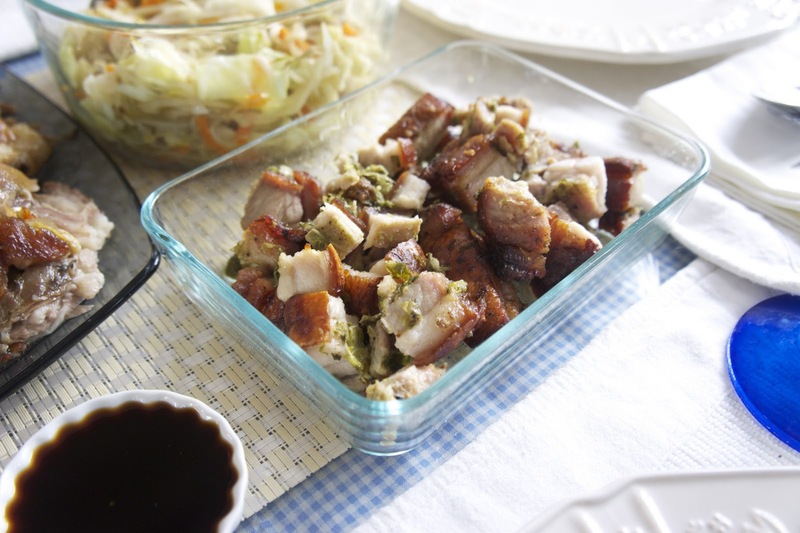 Apart from Lechon - we also had Balambam Liempo. They are available around the city. This was also very good. 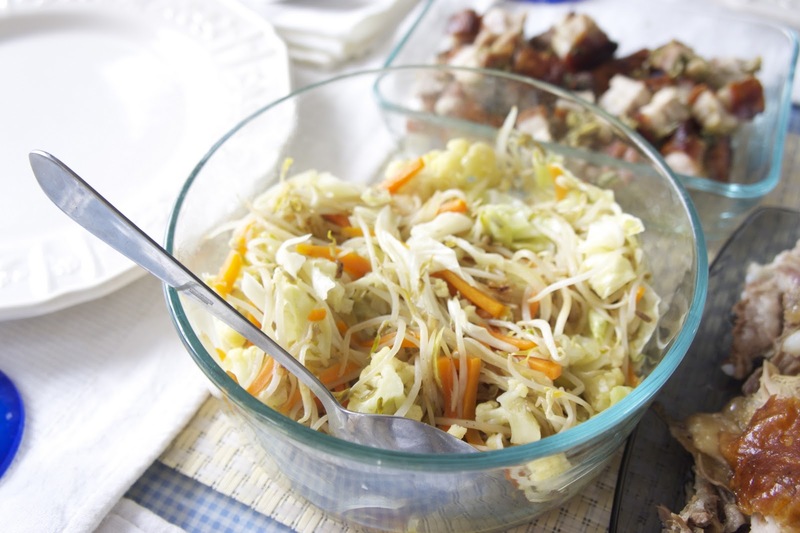 We added it to our lunch fare ( after we watched the Sinulog Parade ). We were famished so having pork and pork didn't seem like pigging out. After this feast - I was one happy camper. I took a nap - because I was really tired - then woke up and got ready for dinner at Abaca. I'm afraid to check how much weight I gained after this trip. Viva Sto. Niño! Pit Senyor!